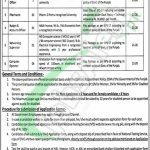 Get Primary & Secondary Healthcare Department Punjab Jobs April 2018 Career Opportunities at this page. PS Health / Primary and Secondary Healthcare Department Punjab invite applications from qualified and experienced individuals having Punjab Domicile for the following positions which are vacant in Chief Drug Controller Office such as (Director Operations / Drug Controller, Data Processing Officer, Pharmacist, Budget and Accounts Officer, Networking Supervisor, Computer Operator). The above positions are offered on contract basis for one year which is renewable on satisfactory performance of an individual. Separate quota has also set in such way that 15% for women, 5% for minority and 35 for disabled persons, so eligible candidates under these quotas can also apply. Those candidates wanted to apply are suggested to first compare themselves with the eligibilities mentioned in the following image according to which candidates having (MPhil, MSc/MIT, Pharm.D, MBA/MA, MS/MCS/Graduation) are eligible to apply and age should be from 21 to 40. General age relaxation in upper age limit for Male Candidates is 5 years and for female candidates is 8 years. So, only those candidates meeting criteria should apply for the vacant positions as per the following how to apply procedure given below. Application Form to apply can be downloaded from NTS website (nts.org.pk) along with deposit slip which has to submit to a bank in favor of NTS. Duly filled application form along with paid deposit slip of test fee Rs. 500/- in favor of NTS and all other documents should reach the following address given below. 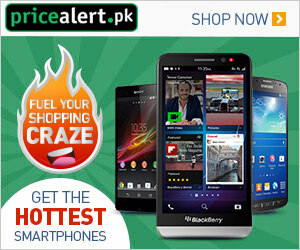 Test fee can be paid in any online branch of HBL, MCB, Meezan Bank or ABL. Applications must re at NTS Headquarter 1-E, Street No. 46, Sector I-8/2, Islamabad. Last date for submission of application is May 02, 2018. In case a candidate wanted to apply for more than one position then he or she must submit a separate application form for each post. Last Date to Apply: May 02, 2018.